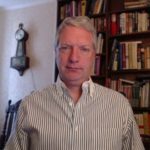 “A Norwegian daily Adressa report said the bones ‘ texture was like Brunost, Norway’s famous brown cheese,” iflscience said. The boat was roughly oriented in a north-south direction. Further research will help determine if this was intentional. It was a tradition of the period for Norsemen to bury their deceased in a boat. 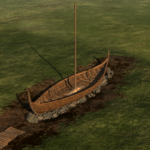 A ship was a Viking’s most prized possession, and if a prominent Viking did not die at sea or on a raid, he would be laid to rest in his boat on land. 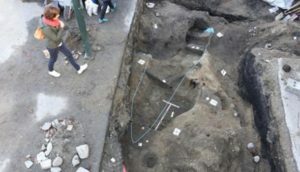 What is unusual about this find is that it is the 1st of its kind discovered in the territory of Trondheim, which means the city could be older than originally thought. This was a time when Vikings were concentrating on exploring the North Atlantic and Europe. During this period, the Vikings explored and colonized Iceland and Greenland, and founded a short-lived settlement in Newfoundland. 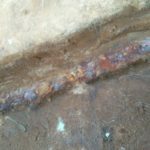 Historians believe that the boat was used as a coffin that was later put into the ground and a burial mound erected above. 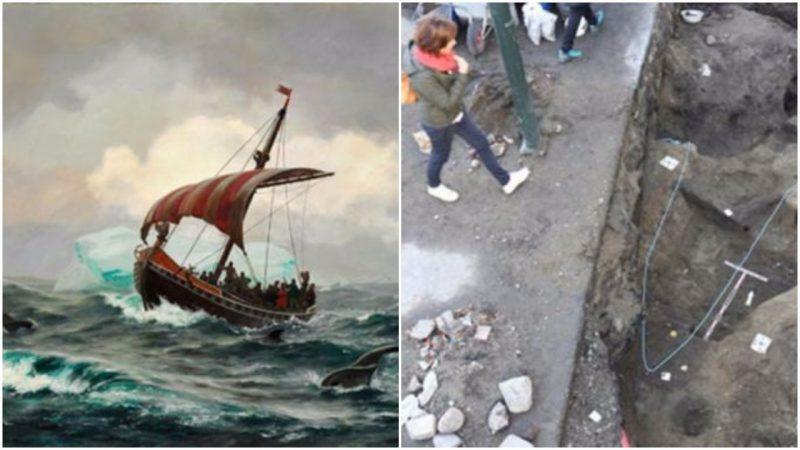 It is not the 1st time a boat grave has been discovered near a trading place in Norwegian cities. 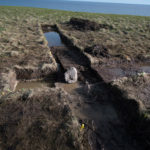 The archaeologists from the Norwegian Institute for Cultural Heritage Research (NIKU) suggest that this was a flat-bottomed boat, used to travel rivers and shallow waters. Taking into consideration the rich history of the city, it is normal to expect discoveries of all kinds. One find of great interest was the tomb of Olaf Haraldsson, the Viking king who brought Christianity to Norway. The king was declared a saint in the Eleventh century and is today the patron saint of the entire country. 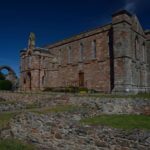 The king was 1st buried in St. Clement’s Church, which was built by the king himself at the beginning of the Eleventh century but was destroyed two centuries later. 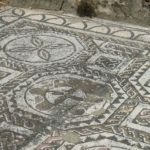 The remains of the church where the coffin with the king’s body rested was discovered in 2016. 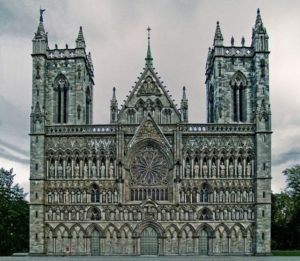 After the demolition of the church, the body of King Olaf was transferred to the Nidaros Cathedral, also in Trondheim. The colorful city of Trondheim is one of the most picturesque in Norway. Located on the shores of the Trondheim Fjord, the third largest city in Norway was the capital when the Vikings ruled this northern country. The home of the northernmost Gothic cathedral in Europe is surrounded by nature, and its waterfront occupied by fishing boats. More than 1,000 years old, it used to be an important trade center. 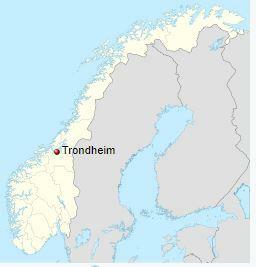 The old name of Trondheim was Nidaros, and it was Norway’s capital for almost 200 years. Besides being the capital and trade center, Trondheim was the religious center for the fierce warriors as well. Today, as a home to the Norwegian University of Science and Technology and more than 30,000 students, the city has a rich cultural life as well, with festivals, concerts, and exhibitions.